TWO OF THREE haredim were convicted today in Jerusalem District Court today for their roles in the kidnapping and gruesome murder of 16-year-old Muhammad Abu Khdeir (pictured) on July 2, 2014, Ha’aretz reported. Both of the two convicted haredim were older teen minors at the time of the crimes and their names have not yet been released to the public as a result. The conviction of the third and main suspect, 31-year-old Yosef Haim Ben-David, was suspended even though the judges admitted in court today that there is enough evidence to convict him. Ben-David, who is part of the same extended Sefardi haredi family as the two minors, had a sudden last minute psychiatric evaluation — apparently ordered by the district court judges at the request of Ben David’s attorney. That evaluation inexplicably found Ben David was not responsible for his actions at the time of the murder. But it was written in English by the Israeli psychiatrist who conducted it, and it reportedly has to translated into Hebrew before the judges can rule on Ben David’s guilt. The prosecution asked the judges to reject the evaluation and speedily issue Ben David’s verdict, noting copious evidence showing Ben David was alert, was aware of his surroundings, and had answered questions competently and accurately after his arrest. Ben David reportedly refused to defend himself during the trial. His attorney repeatedly argued Ben David wasn’t competent to stand trial and wasn’t responsible for his actions at the time of the crimes but brought no psychiatric evaluation supporting those claims — until this past Thursday. Abu Khdeir’s family has long claimed Israel’s court system, which it says regularly exhibits anti-Arab biases, would protect the three haredi murderers and would find a way to rule Ben David incompetent. “It’s all a lie. I’m afraid that the court will eventually get them [all] off the hook. I want [to see] justice in the court. Where’s justice? 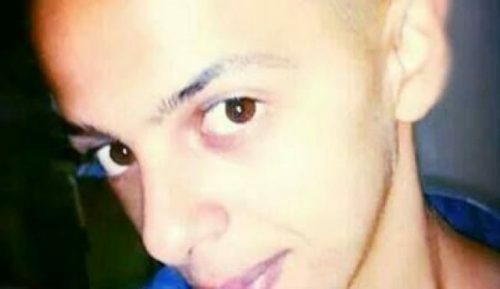 The judges must not accept this,” Hussein Abu Khdeir, the murdered boy’s father, said today after the court decided to allow the last minute psychiatric evaluation to admitted into evidence and delayed Ben David’s verdict. Gadi Gevaryahu, the head of the anti-racism advocacy group Tag Meir, called the court’s postponement of Ben David’s conviction “disappointing” and said it was endemic of a larger problem with Israel criminal justice system. “The [law] enforcement systems in Israel are not doing enough to stop Jewish terrorism. This non-conviction joins the legal system’s reluctance to put to trial the killers of the Dawabsha family [who were burned alive in their West Bank home, allegedly by Jewish terrorists, in July 2015], whose identities are known to the defense establishment,” Gevaryahu told the NRG website, the Times of Israel reported. Ben David and the two minors confessed to kidnapping Muhammed Abu Khadeir. The minors said Ben David beat the Arab boy, who was very thin and small for his age, in the car as they drove to the Jerusalem Forest. Abu Khadeir’s savage beating continued in the forest, and then Ben David allegedly poured gasoline on the serious injured boy and set him on fire, burning him alive. The kidnapping and murder were carried out as a revenge hate crime terror attack meant to be a reprisal killing for the kidnapping and murder of three Jewish teens in the West Bank by Hamas terrorists the previous month. The two convicted minors are supposed to be sentenced on February 14. The Hamas kidnapping and murder of the three West Bank Jewish teens and the reprisal murder of Abu Khdeir set off a chain reaction of events that led to the 2014 Gaza War, which in turn led to a series of events that sparked the latest wave of Palestinian terrorism in the West bank and Israel proper. It’s not just Yosef Haim Ben-David that is incompetent and insane, it’s all Israelis that are incompetent and Insane. Even though this verdict was a travesty, we all know that all Jews are mentally deranged and unstable, so therefore the “Not guilty by reason of insanity” should be a default defense whenever any Jew stands trial for something.